Saint-Michel-de-Maurienne is the start town for one of the greatest climbs in cycling: Col du Galbier via Col du Télégraphe. At the exact traffic light where the Télégraphe starts – in 180° opposite direction – starts Col de Beau Plan. 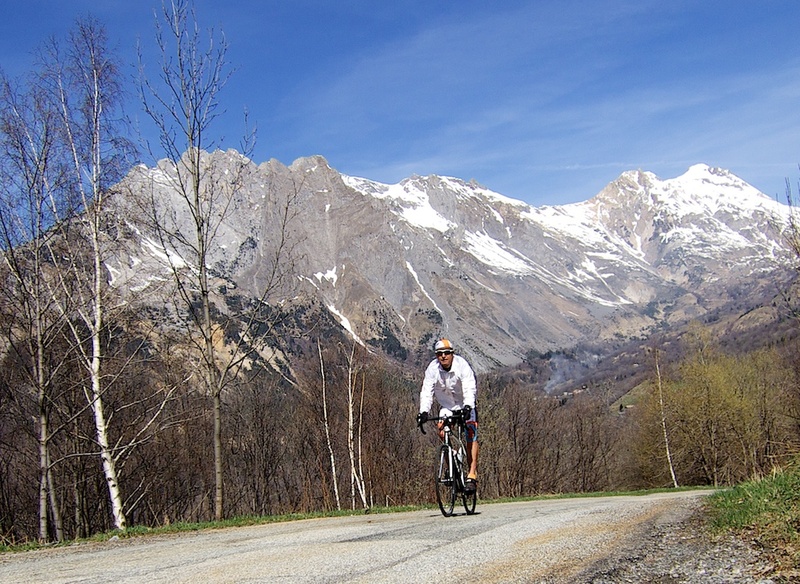 This is yet another very good Maurienne valley climb that is almost completely ignored due to the embarrassment of fantastic choices here. The road heads up immediately. At first, it is residential but soon becomes deserted. Apart from passing La Factrice (the postwoman) a few times, I didn’t see a car. Lots of nice hairpins, but I spent most of the time looking across the valley and eyeing the climb to Col du Télégraphe. It’s a fun way to see another climb, especially as one gets higher. I took the above photo at the Col and then backtracked maybe 50 metres and followed a big road up higher. It’s a strange road in the middle of nowhere. Wide, sweeping hairpins, and not steep. It is similar to roads for recently built modern ski stations. Except they forgot to build a ski station at the top. The paved road ends at 1600 metres (see map), but there are farm tracks higher and I regretted not bring a mountain bike. 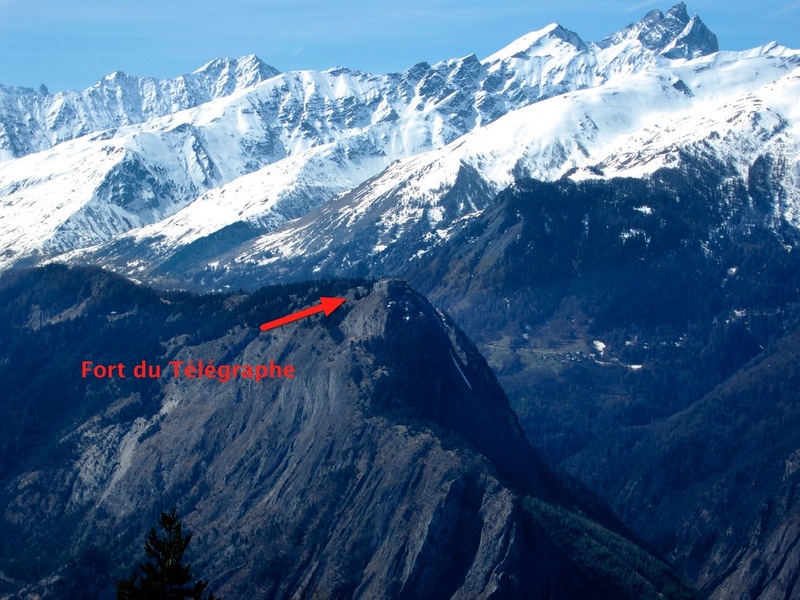 Centuries ago, above Beau Plan, Col des Encombres – 2325 metres – was used as one of the few roads linking the Mauriene and Tarentaise valleys (Col de la Madeleine being the principle link). Unfortunately, this route has long been abandoned, and now only hiking trails remain at the Col. . This nice loop could be done in either direction. 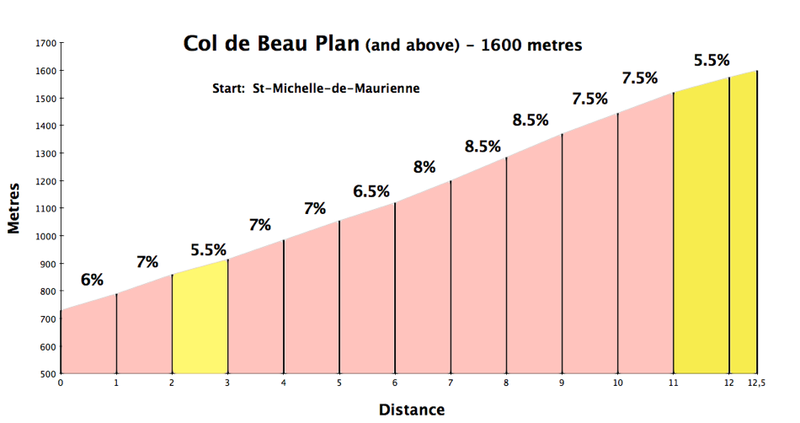 Note, I descended past two Cols Col de Beaune and Col de Porte). But I think counter-clockwise is the quietest for the climbing.